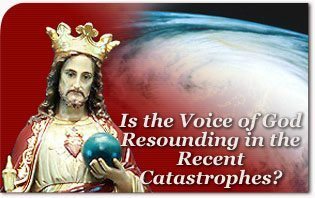 The American TFP > Catholic Perspective > Is the Voice of God Resounding in the Recent Catastrophes? That people who deny the existence of God would summarily write off Archbishop Hannan’s courageous assessment is understandable. However, we see some Catholics rush to join the opinion of such atheists — perhaps unwittingly — emphatically denying any spiritual significance to these disasters. How can these Catholics be so sure that these calamities are not “signs of the times?”5 That they are not chastisements? Or warnings from God? Among these Catholics are some who suggest that natural catastrophes can be explained scientifically and that there is no need, therefore, to bring Divine intervention into the picture to understand what happened. This argument is only partly correct. Science can explain the mechanics of natural disasters, but not their transcendent meaning. For this, we must look to philosophy and theology. 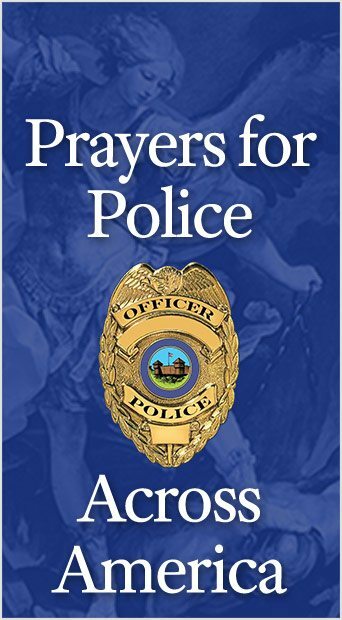 Also, Saint Paul says that earthly authority “is God’s minister: an avenger to execute wrath upon him that doth evil.”18 Clearly, human authority could not be a “minister” or agent of Divine justice if God Himself did not mete out earthly punishment. God is the Lord of life: We owe our existence to God and just as He freely gave us life, He is free to take it from us. There is no injustice when He does so, regardless of the stage of life, be it that of an infant, a child, an adult in the full vigor of manhood, or one who has reached venerable old age. Eternal, not earthly, life and happiness are our ultimate goal: Moreover, our earthly life and happiness are not ends in themselves. They are not the supreme reason for our existence. They are the road, the means, for us to attain eternal life, our true goal. Thus, Saint Paul reminds us, “Our citizenship is in heaven.”21 God’s way of acting becomes incomprehensible when we lose sight of eternal life and heavenly happiness. God punishes collective sin, collectively: When sin becomes generalized, is greatly tolerated, or is committed by particularly representative individuals, it involves the whole family, city, region, nation, or even historical eras. This collective dimension makes sin particularly grave and offensive to God and the result is that Divine chastisement is also collective. Both good and bad suffer. The first suffer to become more perfect; the second as a chastisement for their faults. The great Saint Augustine, Bishop of Hippo in Northern Africa, and Doctor of the Church, lived during the barbarian invasions that brought about the fall of the Western Roman Empire. Indeed, the Vandals were storming at the city gates as he died. One month after that miraculous weeping, the beautiful port city saw the beginning of Southern Decadence — days filled with the public display of naked flesh and homosexual lewdness28 — and with every passing year, New Orleans became increasingly a symbol for those who ignore Our Lady of Fatima’s message of conversion. This brings us back to the original question. How should we look at Hurricane Katrina and the string of tragedies that have befallen our nation and the world? As a chastisement? As a new warning from Divine Providence? God does not want the death of the sinner, but his conversion.29 However, if the world does not heed Our Lady’s call to conversion, we cannot be surprised if even worse tragedies afflict the world — the annihilation of whole nations, for example, as mentioned by the Blessed Mother at Fatima. May the series of catastrophes that have befallen America and the world help us to take to heart Our Lady’s maternal call to conversion. “The catechetical tradition also recalls that there are ‘sins that cry to heaven’: the blood of Abel, (Gen. 4:10) the sin of the Sodomites, (Gen. 18:20; 19:13) the cry of the people oppressed in Egypt, (Ex. 3:7-10) the cry of the foreigner, the widow, and the orphan, (Ex. 20:20-22) injustice to the wage earner (Deut. 24:14-15).” Catechism of the Catholic Church (Second Edition, n. 1867. Adaptation of Psalm 78:3, 9-10, Tract of the Mass of the Holy Innocents, Martyrs, (Feast day December 28) old Latin Roman Missal. When the Pharisees and Sadducees asked the Divine Master for “a sign from heaven,” He answered: “When it is evening, you say, it will be fair weather, for the sky is red. And in the morning: Today there will be a storm, for the sky is red and lowering. You know then how to discern the face of the sky: and can you not know the signs of the times?” — Matt. 16:1-3. (Our emphasis). St. Thomas Aquinas, Summa Theologica, I.q. 103, a.5. “In government there are two things to be considered; the design of government, which is providence itself; and the execution of the design. As to the design of government, God governs all things immediately; whereas in its execution, He governs some things by means of others.” (Ibid., a. 6). Of course, God respects men’s free will and, in case of sin, reestablishes his offended glory by exercising His justice. God commonly acts in history without suspending the laws of nature but by steering them to obtain certain results. For example, when the Prophet Elias prayed for rain in Israel, which was suffering from a terrible drought, God caused many clouds to come together and rain heavily (1 Kings 18:41-45). At other times He suspends the laws of nature, as when the Israelites crossed the Red Sea (Ex. 14:16). Summarizing the central thesis of St. Augustine’s famous work, The City of God, Fr. A. Rascol says that it is Divine Providence that orders favorable events and allows adversities, regulating the joys and afflictions of the just, and punishing some faults while saving others for the day of definitive judgment (Cf. A. Rascol, s.v. “Providence, S. Augustin,” in Vacant-Magenot-Amann, Dictionnaire de Théologie Catholique, (Paris: Letouzey et Ané, 1936), Vol. 13, col. 963. On the role of Providence in Scripture, see Leslie J. Walker, s.v. “Divine Providence,” at www.newadvent.org/cathen/12510a.htm. Thus, Saint Thomas says: “Since therefore God is the first effective cause of things, the perfections of all things must pre-exist in God in a more eminent way.” (Summa Theologica, I, q.4, a2. Cf. Saint Augustine, The City of God, at www.newadvent.org/fathers/120101.htm, Book I, Chapters 1 and 9. The thesis that nations are rewarded or chastised in this earthly life is an underlying thesis found throughout The City of God, but particularly in Books IV and V.
Summa Theologica, I, q.21, a.4. Cf. Lk., 19:41-44; Matt. 23:37. Cf. John M. Haffert, Meet the Witnesses, (Washington, N.J.: Ave Maria Institute, 1961). Mr. Haffert provides his interviews with numerous eyewitnesses of this awesome miracle. We read on the web site of the International Pilgrim Virgin Statue of Our Lady of Fatima: “New Orleans, LA, July, 1972: During Her tour of the New Orleans diocese, the statue shed tears on numerous occasions.… That was the first time it was discovered that the moisture was human tears and also the first time photos began to circulate.” www.pilgrimvirginstatue.com. Cf. also Plinio Correa de Oliveira, “Tears, a Miraculous Warning,” Folha de S.Paulo, Aug. 6, 1972. “Is it my will that a sinner should die, saith the Lord God, and not that he should be converted from his ways, and live?” Ezek. 18:23. This entry was posted in Catholic Perspective and tagged abortion, Augustine, calamities, catastrophe, Catholic, chastise, collective, creation, destruction, faith, Fatima, flood, God, Gomorrah, Gospel, history, homosexuality, hurricane, judge, justice, Law, libertinism, life, Lord, man, men, mercy, moral, natural, Order, peace, penance, perspective, plague, punish, resound, Saint, sin, Sodom, TFP, Thomas, truth, voice by Luiz Sérgio Solimeo. Bookmark the permalink.